Dealing with home refinancing is not an easy task given the present conditions, tough qualifying norms and selecting the right lenders. Even if you become successful in getting all, you should check on the costs involved and calculate to see if this is a viable option for you. Refinancing a home is a situation when you are not able to pay the loan amount you took to purchase a home, or you want to take it to lower the interest on the existing mortgage and replace it with a new loan. By refinancing, a person takes another loan to pay the first loan amount. Refinancing your home is an option when you face difficulties in paying the existing loan, and you want another loan to pay the first bad credit loans. There are many situations, a person can come across in his life such as financial hardship, medical issues, uncertain expense and he fails to make regular monthly payments toward the loan amount taken. Those are times when refinancing option is used. It is beneficial in lowering the rate of interest and even the monthly installments are lowered down after refinancing. 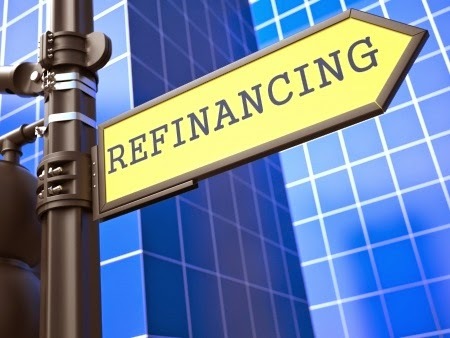 Why the need of refinancing? There is no such reason that a person refinances his home loan but sometimes the financial problems compels him to refinance the existing home loan. Some people also refinance the existing home loan to get lower interest rate on the new loan. A lot of people take to the refinancing route because the amount of money they will be eligible for a loan will be higher provided they have crossed a period of 5-7 years where they have been regularly paying the loans. This will have resulted in lowering the principal to some extent, raising the credit scores or help maintain it to higher levels, and at the same time the equity in the house will have increased considerably. All this is on account of the assumption that the recession hasn't affected the real estate markets negatively, and they continue to march ahead. If you have started facing financial problems, then before taking a new loan first check out your income and expenses. You can spend a little money on your necessity. You can even stop spending money in useless things and save a good amount. You can resolve your entire financial crisis, instead of taking a new loan and increasing your debt. In refinancing, a new loan is approved, which clears the old debts. The new loan amount becomes the new principal and the borrower achieve lower interest rate and extended term on the new loan, all to his benefit. However, the property remains to act as collateral for the new loan where the no credit check loans lenders reserve the right to sell the property in case you fail to repay the amount as per the agreed terms and conditions. If you have many loans like auto loan, whopping credit card balance, mortgage loan then you can consolidate all these loans and pay completely using a refinancing home loan. You will deal with a new principal amount with low interest rate. It is quite beneficial because you don’t have to pay multiple loans in different due dates, you can pay them on 1 common due date and hence can get rid of any late payments or any further debts. You can save more money by refinancing your home loan if you are carrying a good credit score as you’ll be charged lower interest rate and then you have to pay low monthly installments which you were paying earlier. You should first investigate and calculate the interest rate properly before refinancing as sometimes due to adverse market conditions you may end up paying higher monthly installments comparatively. Refinancing is not an acceptable option for people with bad credit score as they will end up paying higher interest rate after refinancing. After refinancing the loan duration increases by which you have to pay the loan amount for some more years, and it may put a negative impact on your credit score because of the credit term. Refinancing your home loan involves many hidden fees like processing fees, application fees, credit report charges etc. These expenses are unnecessary and increase the burden on your pocket. Refinancing is quite beneficial for those who are facing difficulties in paying monthly installments but before refinancing a person should calculate properly whether they are saving money from refinancing or increasing their debt. With so many refinancing companies and even your existing lenders offering these loans, you need to research and compare the offering of the different companies before finalizing a deal.